As people deck the halls. “Buy more presents! Sing more songs! The baby in the manger. He was a gift of love. The gift that set you free. I am reprinting here with Steve’s permission. 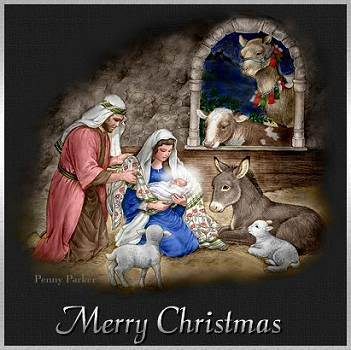 I hope it blesses you and helps you to keep your focus on the true reason we celebrate Christmas–the birth of our Lord and Savior Jesus Christ. Merry Christmas! Dear Father they need me down below. The One whom the prophets spoke of before, the King, the Messiah, the Jesus of lore.. But He will not come as a prince or a King, but the Savior wrapped in clothes bearing “the Name”. Now they shall know, now they shall see, T’was the years before Christmas prepared just for thee. Let His love lift you as you surrender each day.